Our Entire Team Is Ready To Make You Smile! Our group of talented and specially trained dental professionals is here to provide dental implants, bone grafts, wisdom teeth and surgical extractions, pinhole surgery, and much more. Most dental offices refer out for these more complicated procedures. 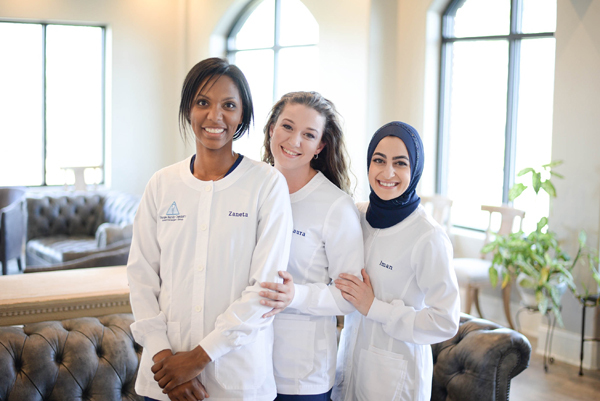 Our guests appreciate that Triangle Family Dentistry conveniently offers a full complement of dental procedures within the dental practice they respect and trust. Offering IV Sedation at Triangle Family Dentistry! Do you suffer from acute anxiety, extreme fear or apprehension when it comes to receiving the critical dental care you need? Have you been avoiding going to the dentist due to dental anxiety? Do you have a severe gag reflex? Do you have difficulty getting numb? Do you have difficulty remaining still during a dental appointment? If you answered ‘Yes’ to any of these questions, IV sedation might be a good option for you! Who’s A Candidate For Treatment At The Triangle Implant And Surgery Group? The best way to learn whether you are a sedation candidate is to talk to your sedation dentist. Most healthy guests will meet medical criteria for sedation. Rare health conditions may make it such that sedation dentistry is not the safest option in an outguest setting. A detailed review of your health history and medications will be performed by your dentist before you can be scheduled for sedation. IV sedation is a form of monitored anesthesia care in which an IV is placed and drugs are administered into the blood stream. The drugs used are a combination of anti-anxiety drugs, hypnotic drugs and pain controlling medications. Some of the drugs used produce partial or full memory loss (amnesia). As a result, time will appear to pass very quickly and you will not recall much of what happened. Many people remember nothing at all. The IV catheter is placed during the visit by a Certified Registered Nurse Anesthetist (CRNA). During the sedation, your heart rate, blood pressure, respiratory rate and breathing are constantly monitored. We are dedicated to optimum care for our guests and work with a Certified Registered Nurse Anesthetist (CRNA) during IV sedation. A CRNA is specially trained to administer the sedative intravenously and to monitor guests while they are under sedation. During the procedure, the CRNA is dedicated solely to the comfort and well being of the guest while the dentist is focused on the dental procedure. Our doctors believe that this is optimal guest care and have adopted this collaborative approach as the standard of care for guests undergoing IV sedation at Triangle Family Dentistry Implant and Surgery Group. 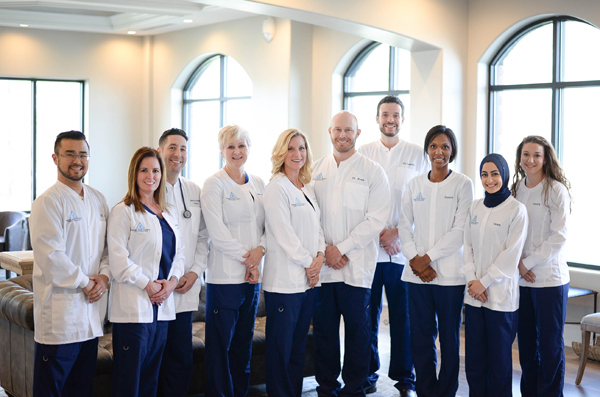 A Certified Registered Nurse Anesthetist (CRNA) is an advanced practice registered nurse who has acquired graduate or doctorate level education and board certification in anesthesia. Our team has over 50 combined years of experience. 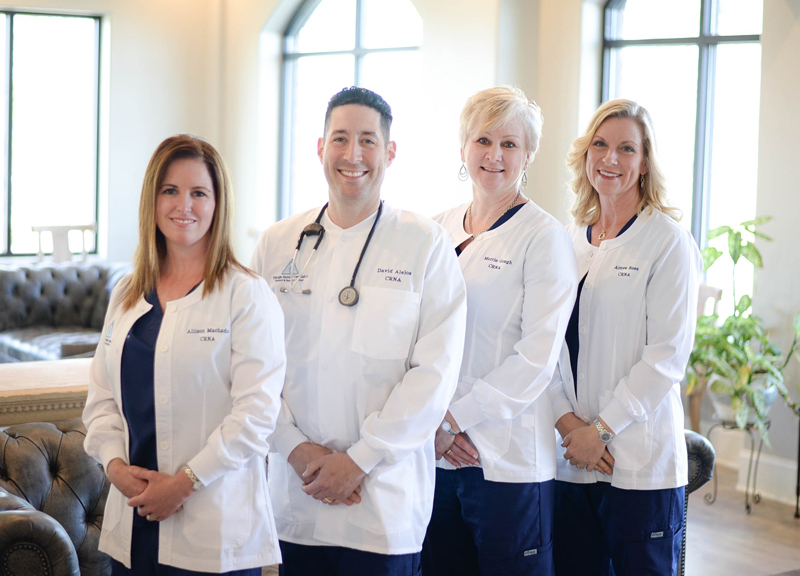 Our CRNA team work in a variety of anesthesia settings, including hospitals and outpatient surgery centers. Nurse anesthetists have been providing anesthesia care to guests in the United States for more than 150 years. In some states, including NC, CRNAs are the sole providers of anesthesia services in the majority of rural hospitals. For more information on CRNA qualifications, visit the American Association of Nurse Anesthetists website HERE. Contact Us To Schedule A Consultation or to Learn More!